At first, writing a book from the point of view of a book seems like nothing more than a clever conceit; a cute way to structure a novel that observes the lives of gay men. However, as he did with his second novel, Looking After Joey, Pratt surprised me. 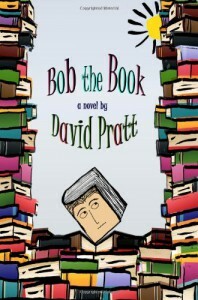 I was startled by the emotional power of this supposedly light-hearted narrative about the travels and travails of a book named Bob.